Looking back at some entries written over the years, I’m fascinated by how things evolved vs. expectations. I normally don’t note when predictions come true, but this one feeds into a childhood fantasy of pitching in the major leagues. I never made it out of the Babe Ruth league or whatever passed for that kind of league in the 1950s. It wasn’t for lack of effort. l practiced or played most days or even into the twilight trying to perfect my pitches (luckily, I had two neighborhood friends during my childhood years who fancied themselves catchers and had catcher mitts). I fashioned my assortment of pitches and delivery after my childhood idols, particularly Whitey Ford and Bobby Schantz. Never heard of Bobby? Pitched for 16 years in the majors with a 3.38 ERA, and won the MVP when he had 24-7 record and a 2.48 ERA in 1952. Those kinds of numbers would have made him a mint in today’s baseball world. I wonder how much Bobby made during his career. Chump change compared to today’s multiyear contracts that approach a quarter of a billion dollars! 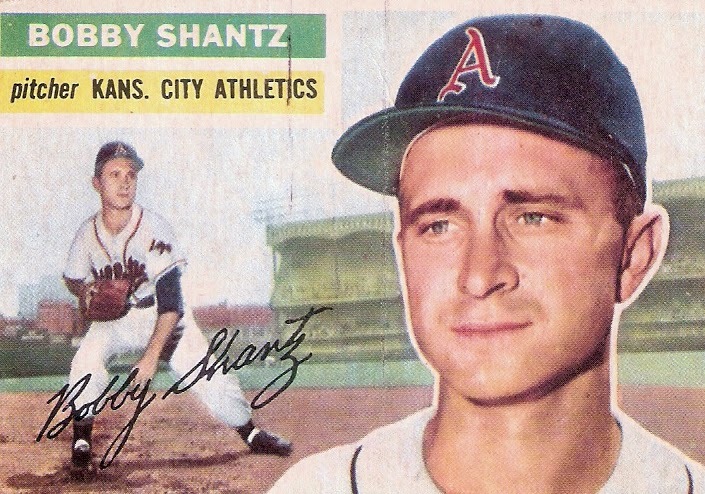 Are today’s stars worth any more than Schantz or Ford (who also had 16 year major league career, a 2.75 era and of course an incredible winning record given he was with the Yankees mostly during the 1950s and early 1960s)? They were both lefties, as I am, and I wanted to be just like them. Physically, I matched up to Bobby Schantz at 5’6”. I figured if he could pitch in the big leagues without an overbearing fast ball, I could too. So I worked on my control and off speed stuff, particularly a screw ball (most lefties have a natural fade away from a right hand batter with their fast balls). Alas, such ambition also needs extraordinary talent, and other interests found me drifting away from baseball by college. Since then he has gone to AA and then AAA ball. 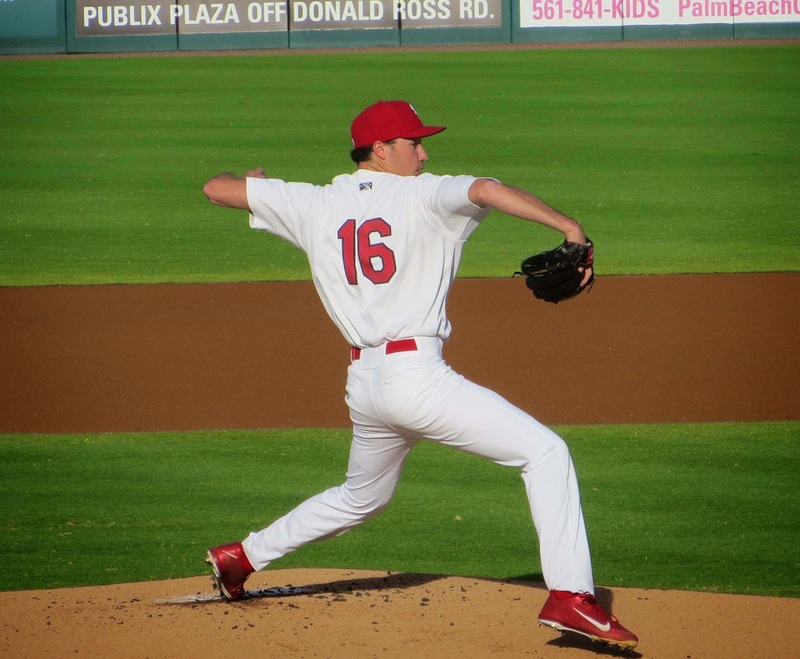 According to last Sunday’s Palm Beach Post, “since joining Class A Jupiter last season, he has shined at each level with a 0.88 ERA in 61 2/3 innings in Jupiter, a 2.58 ERA in 87 1/3 innings in Jacksonville (AA) and 0.82 ERA in 11 innings in New Orleans (AAA). Heaney, 22, will be in Miami soon.” Mark your calendars for the end of June, sort of what I predicted. This guy has it all. 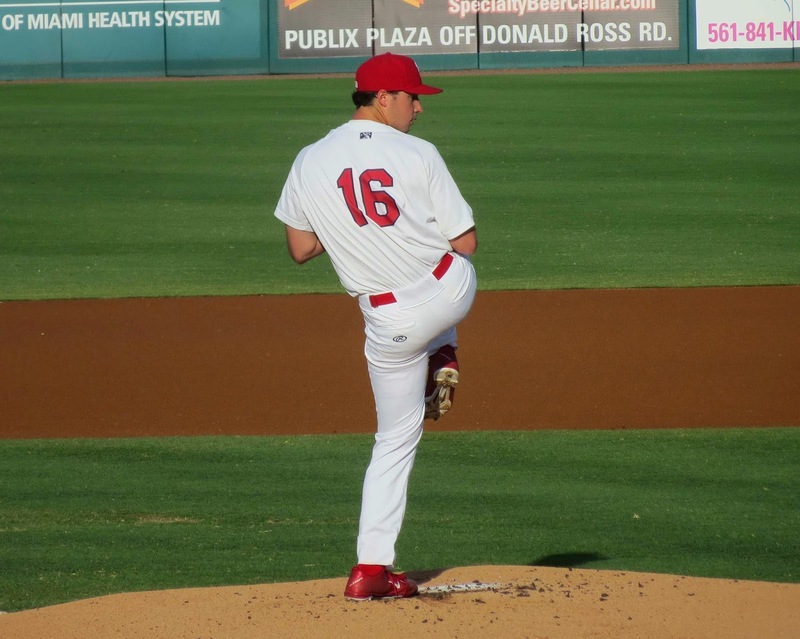 Soon after seeing Heaney, I watched lefty Justin Nicolino pitch and said: “The Marlins farm club is loaded with lefty pitching talent and it will be interesting to watch Nicolino's and Heaney's rise to the majors." Nicolino is now in AA with a 4-2 recorded and a 3.30 era. 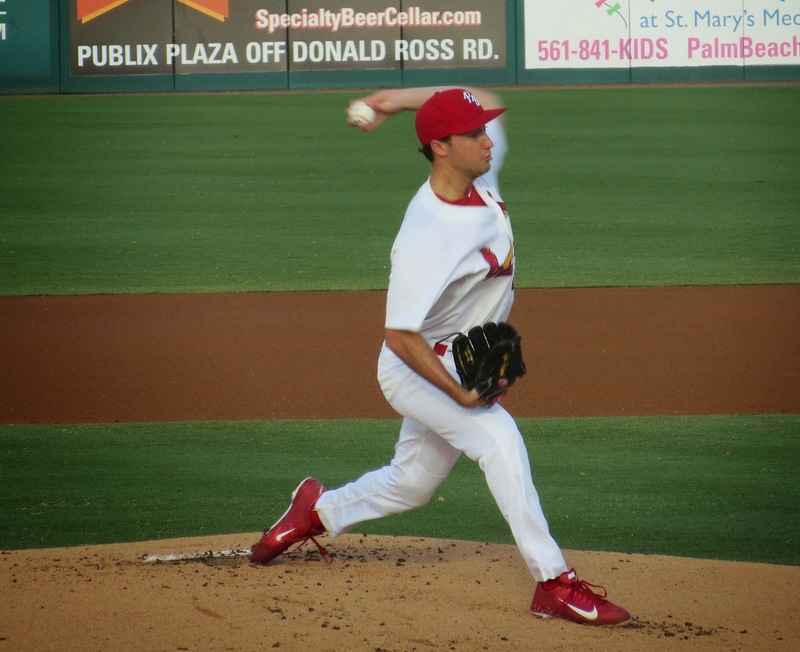 He recently took a no hitter into the seventh inning in a win over Montgomery. He’ll be up soon as well. The Marlins have all sort of farm talent and it’s good to see them first in Jupiter. I count it as one of the reasons this area is so appealing – one of Florida’s big pluses. And the Marlins farm club shares Roger Dean Stadium with the Palm Beach Cardinals. Last night I went to see their highly touted left hander Kyle Helisek. With an ERA of 2.59, he’s made the Class A All Star team. Looking at his record, he has had some control issues striking out about only 50% more than he’s walked. This game he had control, no walks as I recall, but his fast ball is not domineering and he left some pitches too close to the heart of the plate, therefore giving up seven hits over five innings, and two runs, but striking out six. With better control, he’s yet another lefty who could make it all the way, maybe within a couple of years. 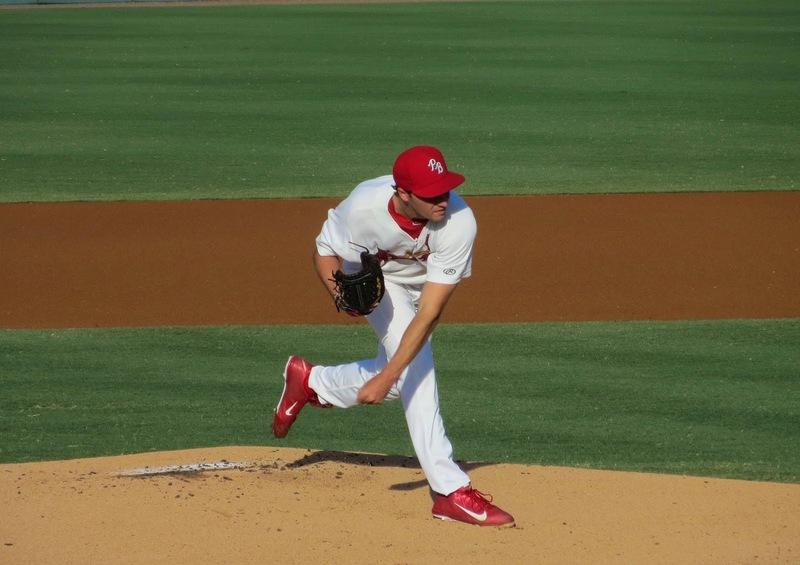 It was a pleasure to watch Helisek’s form on the mound, as these photographs attest. Classic stuff.